A ready tastemaker that lends great taste and flavour to noodles, vermicelli, and fried rice. Our organization holds expertise in processing, exporting, distributing and supplying superior grade Chowmein Masala in Delhi, Delhi, India. Our offered Chowmein Masala is widely appreciated by our customers, which are situated all round the nation. 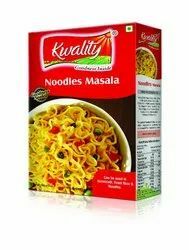 Known for its best quality, clients can avail this Chowmein Masala at industry leading prices from us. Being a leader in the industry, we are engaged in offering a qualitative range of Maggi Masala to our customers. Delivery Time: As Per P.O. 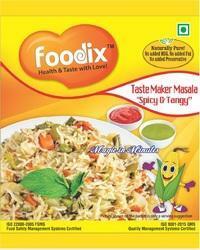 The Noodle Masala offered by our organization, is available in the best quality. These noodles masala is processes by our expert professionals using selected wheat and natural flavourings. Our range of Noodle Masala is widely used noodles to enhances their aromatic flavour and taste. The offered products are available at the most affordable market prices. Add salt to water and boil, add the noodles and allow it to stand till the noodles are soft. Drain out all the excess wateradd one tbsp of oil to the boiled noodles and toss well. Fry the required vegetables, add the boiled noodles, soya sauce, chilli sauce, tomato sauce and prakash chowmein masala, mix well and simmer for 4-5 minutes. We provide an array of Curry Powders that can be used to concoct various tastes in all your dishes from vegetarian to chicken and from mutton to fish. Noodle Masala With Enhanced Profile Of Vegetables. Our organization set a benchmark in the industry by offering a wide gamut of Noodles Masala in the market. To fulfill the increasing demands of our valued clients, we are offering Chowmein Masala. This masala is easy to digest.